Luke Llewellin, a 26-year-old carpenter from Pembrokeshire in Wales who only returned to clay shooting this summer after a three-year break, proved that he has not lost his touch by winning The Game Fair Challenge super final at Ragley Hall in Warwickshire. 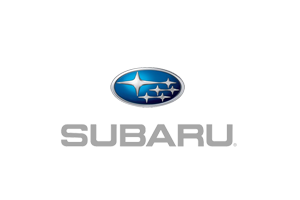 Held over the three days to mark the 60thanniversary of The Game Fair, both open and novice class shooters were invited to take part in a 60-bird sporting clay contest on the Subaru Shooting Line for their chance to win a Subaru Forester car for a year as a prize. The best two scores from each day in both the novice and open categories where automatically entered into the Sunday evening 25-target sportrap super final for the chance to win the car as top shooter overall. It was Llewellin who came out on top after an impressive 22 ex25 under testing conditions to take the title and drive away the symmetrical all-wheel drive SUV. In addition to the sponsorship from Subaru UK, the competition was also backed by the Sportsman Gun Centre, who awarded six special-edition ATA SP Elegant shotguns, which retail for £799.99 and were individually numbered and engraved, to the top novice and top open class competitors each day. The winners of the daily prizes in the open class were Lancashire’s Graham Stirzaker on Friday, Chris Childerhouse from Berkshire on Saturday and Northumberland’s Frank Lowrison on Sunday. In the novice class, Steve Hilton from Nottinghamshire was top gun on the Friday, Australia’s Mark DuRose won on Saturday and Max Daniel from Essex was the best shooter on the closing day.